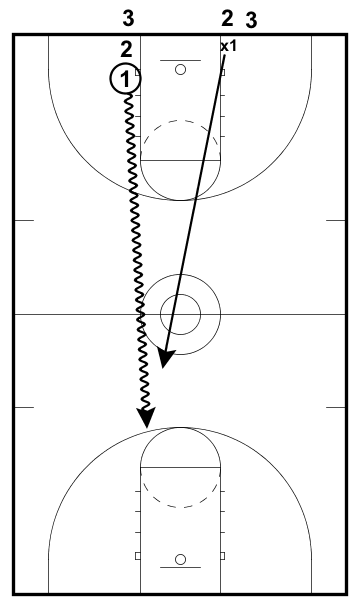 Offensive players learn to make a hard V cut to get open. Form a line at the top of the key. 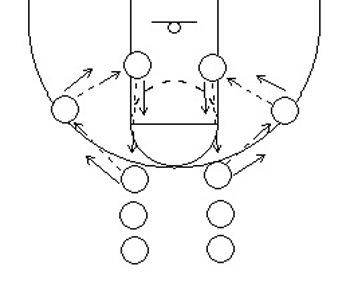 Player 1 starts with the ball at the front of the line. 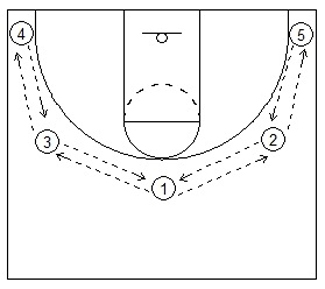 Player 2 starts at the wing.